We like to begin every discussion of Glenair's proven-performance space-grade products with the golden umbilical life support cable used by Commander Ed White in the first American space walk in 1965. 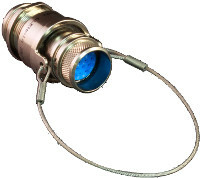 This was a complex cable assembly with an exacting set of performance requirements. Even though this application is now over 50 years old, it still reflects Glenair's design and fabrication expertise and that we have been a go-to supplier for the space industry for over 5 decades. Today we continue to manufacture a broad range of high-performance cables and components for space – from our innovative line of non-pyrotechnic HDRMs to high-reliability assisted separation force connectors. Glenair's proven space flight heritage includes interconnect and electromechanical technology on dozens of robotic spacecraft, including orbiters, landers, and rovers. Many customers of discrete HDRM technology look to Glenair for the turnkey supply of interconnect wire and cabling. 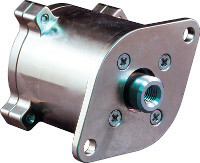 Non-pyrotechnic separation nuts utilize EMI shielded harness assemblies to supply primary and redundant initiation energy to the split spool actuator, and to transmit telemetry data from release sensors. 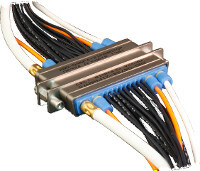 Glenair operates the largest and best equipped wire harness assembly shop in the mission-critical interconnect industry and has supplied countless turnkey spacegrade cable assemblies of this type. Non-explosive light, medium, and heavy-duty HDRMs, pin pullers and pin pushers for spacecraft satellite hold down and release. Special-purpose ultra-lightweight small form-factor split-spool release mechanisms for CubeSat and NanoSat deployment as well as antenna, solar array, reflector, boom, and mast release. Small form factor CubeSat applications typically use dispenser canisters for deployment. 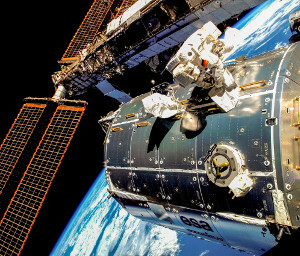 D-sub miniature cable assemblies are used for activation of the dispenser hold-down release mechanism, interconnection of the door status sensor, and in some cases direct signal interconnection to the satellite. 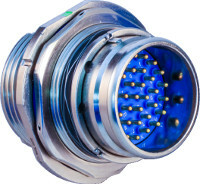 Series 28 HiPer-D machined shells deliver improved shock and vibration performance, advanced electromagnetic compatibility and are rated to 200° C.
For mission-critical interconnection and release of launch and payload systems that depend on reliable, jam-free mating and disengagement.